A long time ago in a galaxy far away, a wise old man once said, "let go your conscious self and act on instinct." Little did we know at the time Obi-wan was not just talking about using The Force, but about playing the game Duet. 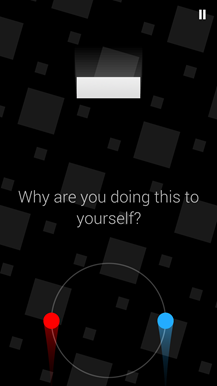 This title just came to Android as part of the Humble Mobile Bundle 6 last week, and a few days later it arrived in the Play Store. 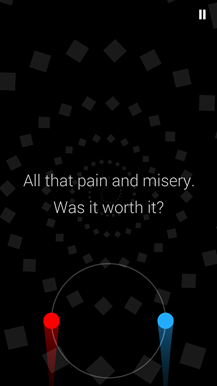 It has quite a reputation on iOS for being challenging and highly addictive. I set out to learn if those things were true. Duet is a rhythm-based arcade game that places you in control of two small orbs. 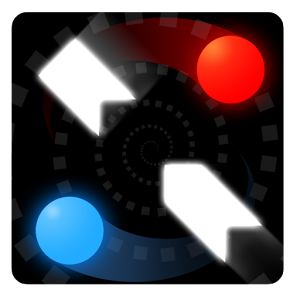 One orb is red and the other blue, but the color isn't as important as their position. The orbs are attached exactly opposite each other on a small ring at the bottom of the screen. You can spin the ring clockwise or counter-clockwise by pressing on the right and left sides of the screen, respectively. The ring will rotate for as long as you hold, then stop on a dime the instant you release. The goal is to spin the ring around in such a way that the orbs don't run into any of the blocks falling toward you. As the game description says—keep calm and avoid everything. Let's get this out of the way—yeah, Duet is brutally difficult. 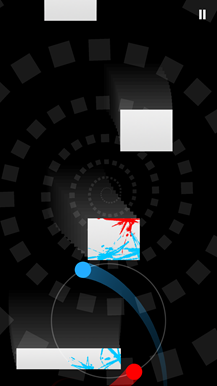 The levels are only 20 seconds or so in length, but it might take you a long time to successfully navigate through even one of them. We're not just talking about static obstacles falling toward you, either. Duet keeps throwing new things at you including spinning/zigzagging objects and blocks that accelerate without warning. I realize this can be hard to envision, so I've embedded a handy GIF below so you can see what it's like to play Duet. Insane, right? If you fail to swing one of the orbs out of the way in time (or you swing too far, start spinning too soon, or make any of a dozen other mistakes) it will go splat on the block and it's back to the beginning of the level. Every one of the colorful blotches on the pristine white blocks below is a failure that haunts me to this day, each one as painful as a paper cut between my fingers. 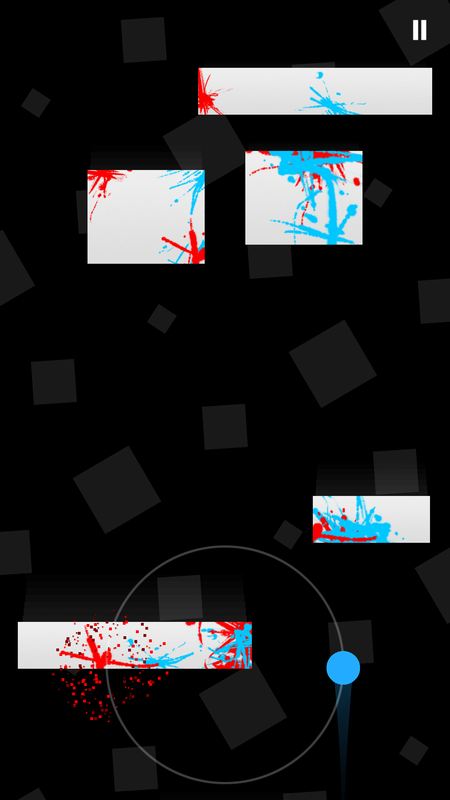 Some levels are so challenging that the blocks start to look like tiny Jackson Pollock paintings. The first few levels make Duet seem fundamentally impossible. Surely a human brain was never meant to see space and time in this manner—it goes against the very nature of the universe, but that's where the previously mentioned "letting go" comes into play. You eventually get used to the way the ring spins and which way each orb is going to move when you bring a finger down on the screen. You don't have to think about every move, instead it becomes "make that one go there." 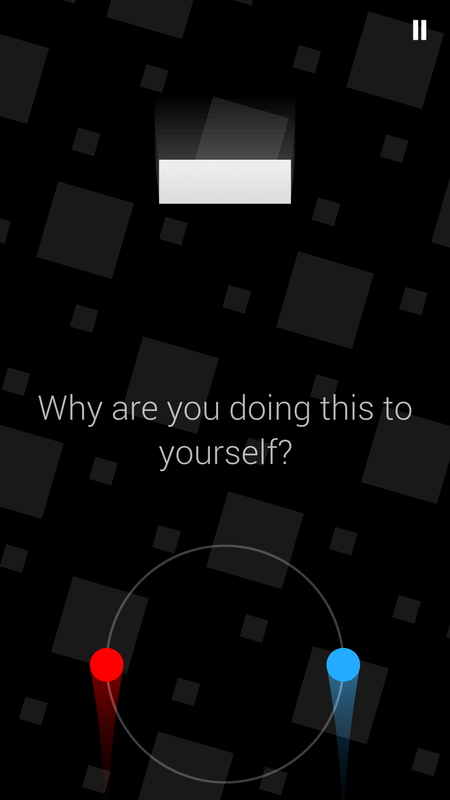 In fact, it seems like becoming too aware of your presses makes the game harder to play. If you get out of the zone, death is sure to follow. Perhaps by this point I have properly impressed upon you how hard Duet is, but I don't want to leave you thinking it isn't fun. On the contrary—it's amazingly entertaining. I can feel my pulse quicken and my muscles tense when I'm near the end of a level that I've been working on for a while. As I pass that last splatter of paint from a previous failure, I know I'm close, the open space ahead means the end is in sight. When I finally pass that last block, the sense of satisfaction is immense. Few games of any type are this much fun when you win... or as demoralizing when you accidentally nail the last block and have to start over. Duet is just a collection of shapes floating through space, but don't let that convince you it's lacking in style. 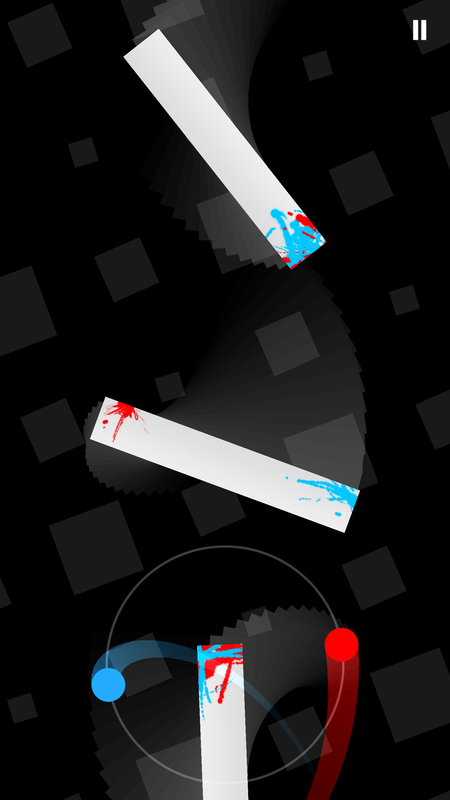 Your colored orbs and the blocks attempting to squish them all leave ghostly trails as they fly through the darkness. 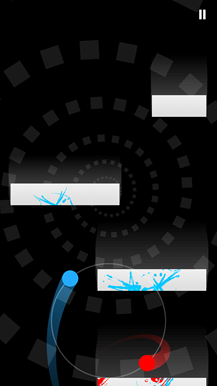 The background of each level is a constantly moving geometric pattern that serves a nice soothing animation in the event you ever have a spare moment to look at it. 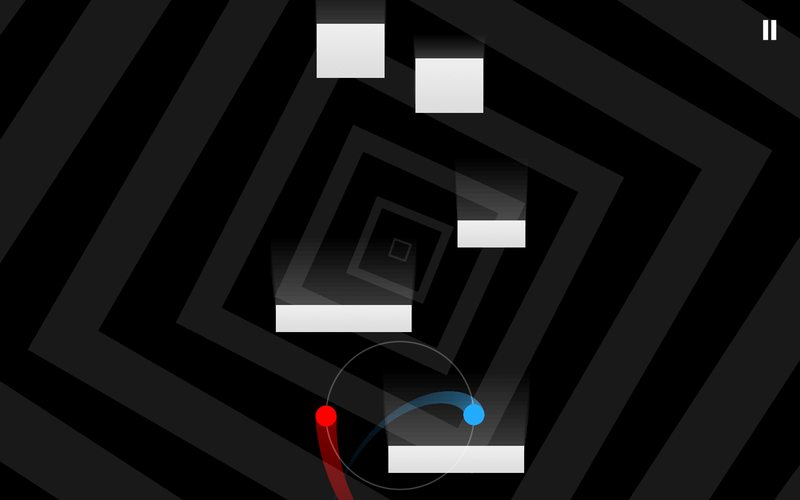 But really—Duet is so intense you wouldn't be able to devote the brain cycles to enjoying even the most gorgeous high-resolution textures in the universe. Also of interest is the excellent support for displays of different sizes (with immersive mode, yay). I tested Duet on a few mid-sized tablets and phones of various resolutions. It ran beautifully on a 1440p phone screen and can operate in either landscape or portrait. I'd suggest portrait mode if you can manage it—the objects are larger and fill the screen space better (landscape shrinks everything slightly and centers it). However, the landscape support is great for playing on a bigger tablet that isn't comfortable to use in portrait, and Duet does a good job of showing you what's coming up without making it feel like the game is too cramped. One of the best parts of Duet is the soundtrack from composer Tim Shiel. It's atmospheric and haunting, but it frequently moves into heavier beats with an electronic edge. There are nine tracks in all with a good mix of sounds. 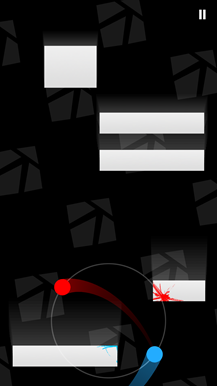 It's the perfect companion for the fast-paced gameplay in Duet. The only sound effect is the splat when you swing an orb into one of the obstacles (I hate that noise). 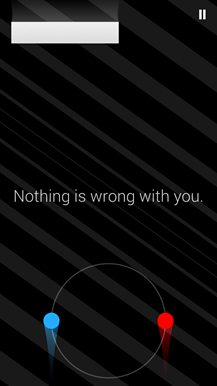 There is also a narrator of sorts—an echoey female voice at the beginning of each level that says comforting (and sometimes not so comforting) things to you. There are about 50 story mode stages, modeled partially on the stages of grieving (denial, anger, and so on). The difficulty of these stages ramps up quickly, but that's only part of the game. There is another set of levels, the epilogue, with a few dozen more stages. What's really cool here is that the blocks behave in completely different ways across the two sets of levels, so it's not like you're just playing more of the same. Once you've mastered that stuff, if you just want more challenge, there's the aptly named Challenge mode with daily levels that you can use to compete against friends through Google Play Games and a number of really, really hard stages. There's also an endless gameplay mode. Seriously, there's so much. I also applaud the developers for implementing cloud syncing of progress through Google Play. It even works across the Humble Bundle and Google Play versions of the game. Okay, so you want to buy it—what about these two versions? The Humble Bundle edition is the full premium game with everything unlocked for whatever price you pay to get the Bundle. The Google Play version is free to download and try, but you have to pay $3 via an in-app purchase to get anything past the main story mode. Also, there are un-skippable video ads every now and then. Yeah, it's lame, but they go away if you buy the game. 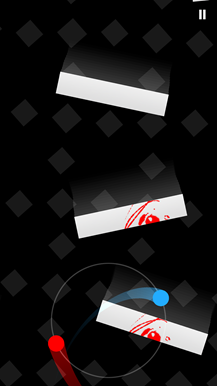 The two games are identical after you unlock the Play Store variant, so get whichever one you like. The current Humble Bundle is a really good deal, though. The verdict is this: buy the game. Buy it now and prepare to hate yourself a little bit. 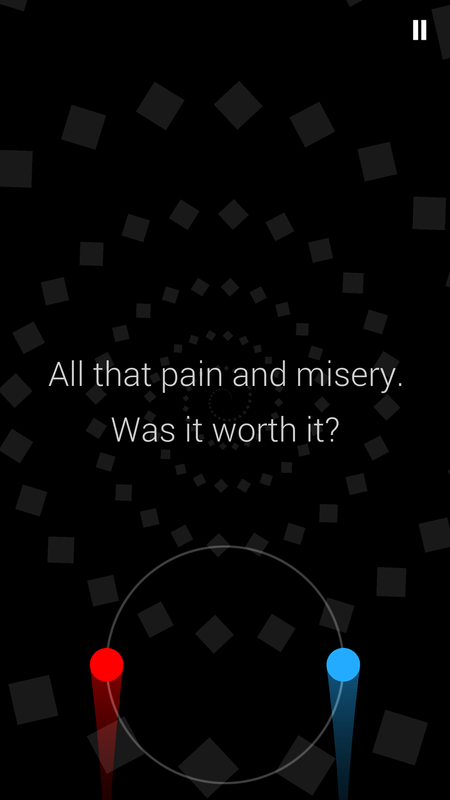 Duet is a punishing game, but I can't put it down.